Bible trivia games for teenagers reinforce church lessons and add fun to any youth group gathering. Trivia games can be competitive or just for fun and they're easy to throw together when you need a last-minute activity. You can create your own Bible trivia questions based on the topics you talk about at your youth group, but you can also find ready-made Bible trivia for free. The free Bible Trivia Quiz for Kids features easy Bible questions and answers you can use for the beginning rounds of a teen trivia game. To use the questions from the quiz, you'll need to write down each question and the answer that's provided when you hit "Next." This quiz includes six simple questions such as "Who created the Earth?" Free printable Bible trivia questions and answers are easy to use in DIY games because you can simply cut out each question instead of writing them down. You can also copy and paste the questions into another document if you are making trivia cards. The printable true or false Bible trivia features eight moderate questions and their answers. For lesser-known Bible trivia questions, the printable Fun Bible Questions with an answer key includes 20 open-ended questions. You can also create a holiday trivia game or use the Christmas Bible Quiz questions and answers as part of a general trivia game. This quiz features seven questions related to the Christmas story in the Bible with the correct answer given after each question. Use any free Bible trivia or your own questions to play a variety of trivia games that will keep teens interested and engage. You can start with a standard trivia game then try out different variations for different topics or sections of the Bible. Change up this classic group game for teens by having each player state two true and a lie about the Bible rather than statements about them. This is a great review game to use after covering a certain section of the Bible. You can also use it as a starter activity for youth group by writing two Bible truths and one Bible lie on a chalkboard. Try to use three statements that relate to the same character or story to make them more relevant. Make your own Biblical version of a trivia board game like Trivial Pursuit using a free printable game board. Decorate the board to look like a biblical setting. Print trivia questions on separate cards and categorize them. Add spaces to the board where players have to choose a trivia card from a specific category. The goal is to collect two or more trivia cards from each category by answering questions correctly. Most board games can have up to eight players. You can find Jeopardy-like templates online or print questions onto index cards to hang in a grid on the wall for an easy Bible Jeopardy game. Use the easiest questions for the lowest point values and the hard ones for higher point values. 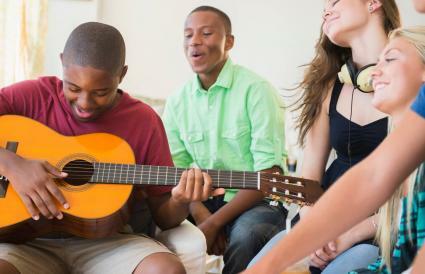 For small groups of 3 to 5 teens, they can all play at the same time. Larger groups can be separated into heats then the three highest scorers can compete for the title of Champion. In this song trivia game, teens compete to finish the lyrics to popular psalms or hymns. Start by choosing psalms, songs, and hymns the group should be familiar with. Use a line from the refrain or any line that gets repeated throughout to use in the game. Read part of the line then ask the player to sing the rest of the lyrics. You can play the game where players get eliminated for wrong answers or get points for correct answers. Charades is a kind of silent trivia game. In the biblical version, teens act out characters, stories, or verses from the Bible without using words. Their teammates have to guess what they are acting out. Split small groups into two equal teams and large groups into more teams. On separate slips of paper write the category and what the teens should act out. On a turn, one person from one team pulls a paper out of a bowl and has about one minute to act it out. If their team guesses correctly, they get a point. If not, the next team gets a chance to steal the point by guessing the correct answer. Each Bible trivia answer is a clue to the next question in this fun game. Large groups of teens can work on small teams while small groups of teens can try the treasure hunt alone. Choose trivia questions with answers that relate to something in your youth group room, church, or just the Bible. Give teens the first trivia question and they'll have to use the answer to find their next question. For example, if the answer is Jesus the next clue might be hidden on a painting of Jesus. Leave a prize at the last location such as a cross necklace or personalized Bible for each player. In a classic scavenger hunt, you give teens a list of things to find. This Bible scavenger hunt replaces the list of items with a list of trivia questions. Teens first need to come up with the correct answer to each question, then find the item that matches each answer. Use trivia questions with answers that are tangible things teens can grab or see in your youth group space. For added difficulty, you can assign low point values to easy trivia questions and answers and high point values to more difficult ones. 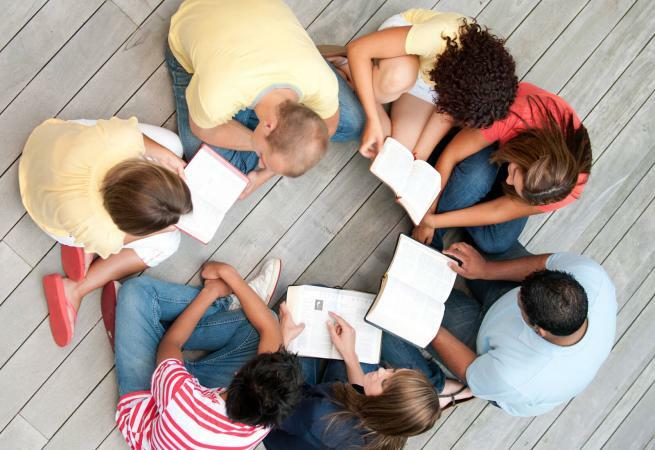 Teens can work in small groups or alone to play Bible trivia games at youth group meetings. Add a personal challenge when you keep track of your own answers to see your current Bible IQ.